Google is making a big push into virtual reality today with an updated Cardboard module, as well as new ways to virtually visit locations or enjoy 360-degree video. First up, a new feature called Expeditions works like a virtual field trip for classes, where teachers can set a destination and allow students to follow with their own Cardboard devices. 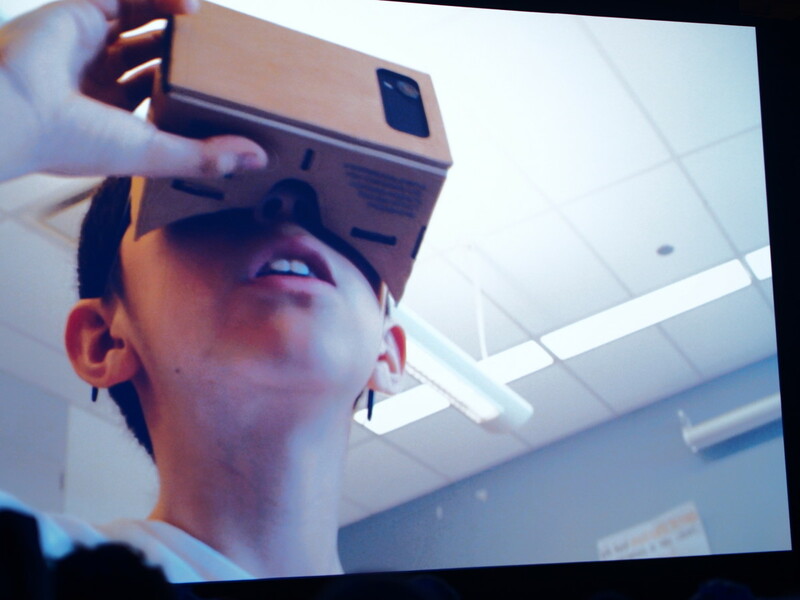 Google showed a demo video in which a class took virtual trips to Venice and the Great Wall of China. The company also announced a partnership with GoPro to design a camera rig system called Jump. This setup with 16 GoPro cameras creates a 360-degree field of view that you can look around with a VR device. Jump automatically processes the footage into 3D. The videos will be viewable on YouTube with a Cardboard viewer this summer.